Halloween is a festive time of the year to decorate your home in fun and colorful Halloween decor. 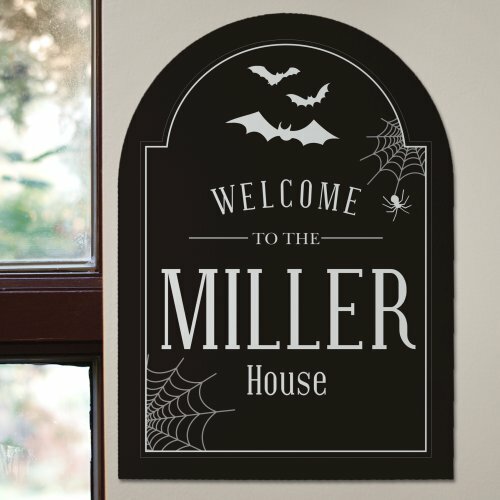 Our Personalized Halloween House Wall Sign is sure to look great decorating your favorite room in your home. This Halloween wall sign is a gloss white hardboard sign that measures 0.25″/6,35mm thick and is 11.5” x 15.5”. It comes with clear hanging tabs for easy wall display and includes free personalization of any family name.